We were recently invited to talk to SuperbCrew about the release of our new product - People Insight & Coach - a new SuMo plug-in that promises to turn sales leaders into elite sales coaches. Below, is the insightful Q&A by CloudApps Chief Revenue Officer and seasoned sales leader Dr David Kirk. You can access the original interview here. CloudApps maximises revenue potential by injecting science into the art of selling. What do we mean by that? We’re taking the guesswork out of selling by providing customers with in-depth data into their sales team’s behaviours within the Salesforce platform. Thanks to this insight, our customers are able to really know what is going on under the hood, so they have a better chance of improving their sales performance. SuMo is already realising true business value for customers such as Vodafone, Roche, UBM, Shell and many more. Q: You’ve recently announced the release of your brand new product: People Insight & Coach; could you tell us something more? We’ve always moved in the sales performance realm, focussing on finding new ways to motivate more of those winning sales behaviours (not just number of activities) exhibited by top sellers. We typically concentrate on the core sales team – those middle-range reps found in every organisation that could be providing more value to the business – getting them to follow the same path to success taken by the top performing tier of the team. But, in order to get the most from a sales team, sales leaders must have better access to performance and behavioural data. To effectively support a sales team, sales managers have to become performance coaches. The traditional approach of pushing reps to meet a revenue target can only get us so far. The real sweet spot lies in all the behaviours and steps taken in between. And in order to replicate success, we must first understand it. 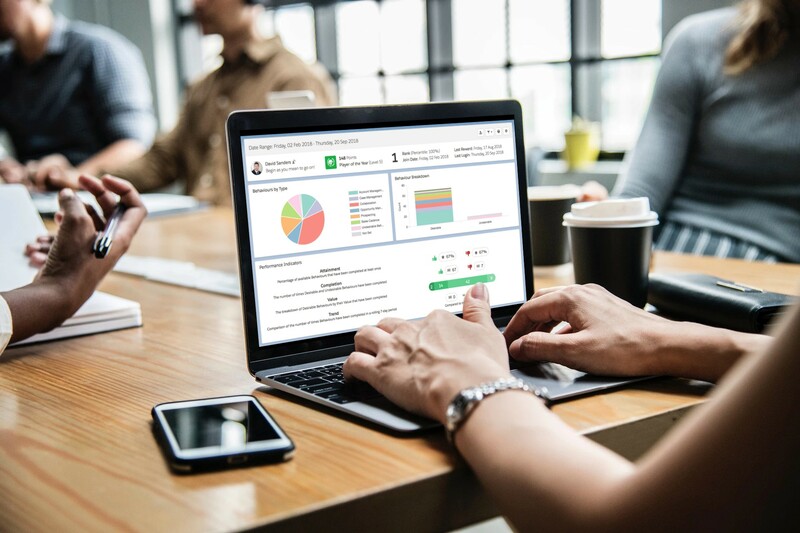 People Insight & Coach takes that idea even further, by providing sales managers with a fantastic new tool to collect actionable insight that can help them achieve those winning KPIs. The success of a sales manager is measured very differently to that of a sales rep. Their targets are based on the success of the sales organisation and this relies on things like reducing time to quota, getting more from the existing team, mitigating rep attrition, etc. 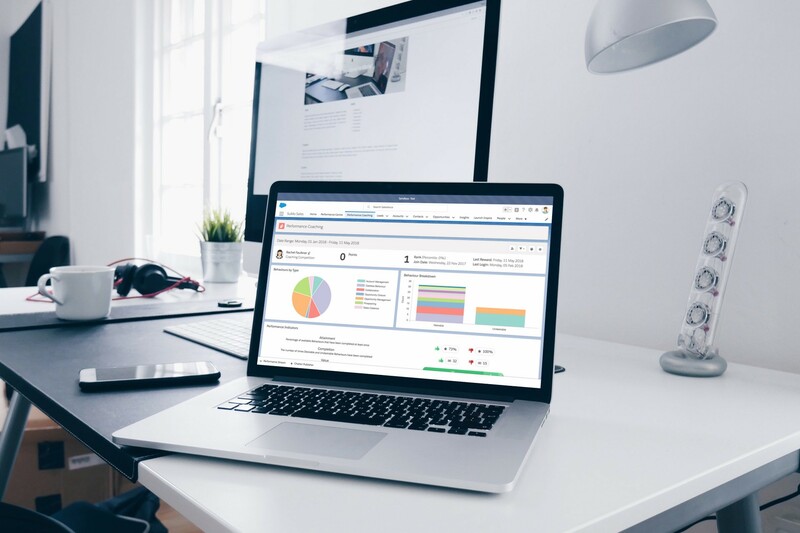 And the latest release focuses on helping sales leaders manage exactly that by offering highly tailored coaching plans for the entire sales org, based on a data-driven picture of the team’s performance. At scale and all within the Salesforce platform! Design personalised Coaching Plans for each member of the team so they can deliver on ambitious sales targets. Accomplish behavioural change by setting objectives both inside and outside of Salesforce. Evaluate attainment of leading KPIs and spotlight areas for improvement and training. Sales managers can unlock the latent revenue potential from the whole sales team by deploying SuMo to coach, mentor & develop reps through the entire sales journey. Q: What are the key features & functionalities of your new product? - Behaviour Charts which allow managers to see the distribution of high-value and careless sales behaviours completed across the team and through the sales process. - Performance Indicators provide an instant view into key information around performance to highlight attainment of leading KPIs and trend data over a rolling period. - Activity Cadence lets managers decipher not just what but how many times have certain behaviours been exhibited throughout the sales journey, working out average cadence of team and highlighting areas for improvement. - Comparisons: A side-by-side comparison feature to assess how well an individual user is performing in relation to peers and high performers. - Coaching Plans: A solution to effectively design, guide and report progress of individuals through their time at the company. This functionality will help guide each rep to meet specific objectives, can facilitate onboarding and training, and reduce risk of attrition. - Ad-Hoc Objectives: A checklist designed to track the completion of activities outside of Salesforce like shadow days or additional training. Q: What does it take for sales coaching to be truly effective? For sales coaching to be truly effective, it has to be these five things: timely, accurate, relevant, consistent and individualised. There has to be a proper structure behind it and enough investment of time and resources destined to it. It’s definitely not something you can do on the fly and it’s by no means a one-size-fits-all practice. Sales coaching depends heavily on the coach having the time and experience to really provide proper guidance to the sales rep. Which is why, it’s very difficult to do this at scale (especially when you consider the size of sales teams in larger enterprises). But now, we can offer much more effective sales coaching by having better access to relevant data. If we can use technology to collide certain behavioural information from our sales team, we can quickly understand where their challenges are and what areas they need support in. Be it around skillset or deal support. Furthermore, if we can also use technology to create individualised coaching plans - that are relevant to the very specific needs of each rep - and provide relevant support at the point in which reps are taking action, we can start seeing a huge spike in sales performance throughout the entire sales org. Q: What type of customer would benefit the most from your product? The beauty of being a Salesforce native app is that all our products can be built around our customers’ needs to work seamlessly within their own environment. As People Insight & Coach has the capability to collect and process large amounts of data, it’s an ideal tool for medium to large enterprise customers managing a bigger number of reps.
What’s really exciting is that this tool can be put to good use by several tiers of the sales org. It benefits reps by helping them up their target attainment or improve their skill set, it’s perfect for sales managers looking for better ways to support and motivate their team and it also simplifies the life of a business leader needing better insight into the performance of management or success rate of training initiatives. Bottom line is, if you’re looking for a way to boost sales performance by offering targeted coaching to a large number of employees at once, you should look into People Insight & Coach. You can book an online demo here. Data-driven coaching is the future of successful sales organisations. With this in mind, we've put together our best practices, tips and tricks to offering your sales reps relevant, timely and accurate coaching so they can meet their targets and increase their skillset. Download our Ultimate Guide to Sales Coaching now!